24 year old Zebiba and her husband have a one year old son. They live in the highlands of Ethiopia, far from hospitals, health clinics and other services. Living in such a remote area meant Zebiba never learnt how to cook and prepare nutritional and healthy food for her child. At a Hunger Project cooking demonstration in their village, Zebiba and other local mothers and mothers-to-be learnt about the nutritional benefits of a ‘miracle’ plant called moringa. Moringa leaves contain extraordinary levels of vitamins and minerals, key to the strong growth and development of pregnant and breastfeeding women and their babies. During the demonstration, they also learned how to use the leaves to prepare moringa porridge and other meals. “Before The Hunger Project cooking demonstration, I had never heard of the plant called moringa. The leaves don’t taste bad at all! I learned that it’s as healthy as fruit and vegetables. Now I know how important it is for both me and my child that I eat healthy food. I also know to breastfeed for at least the first six months,” Zebiba says. There is now a large moringa plantation in the village that is managed by the community, so that everyone can access moringa seedlings, plant a tree in their own backyards, and add the leaves into their family meals. 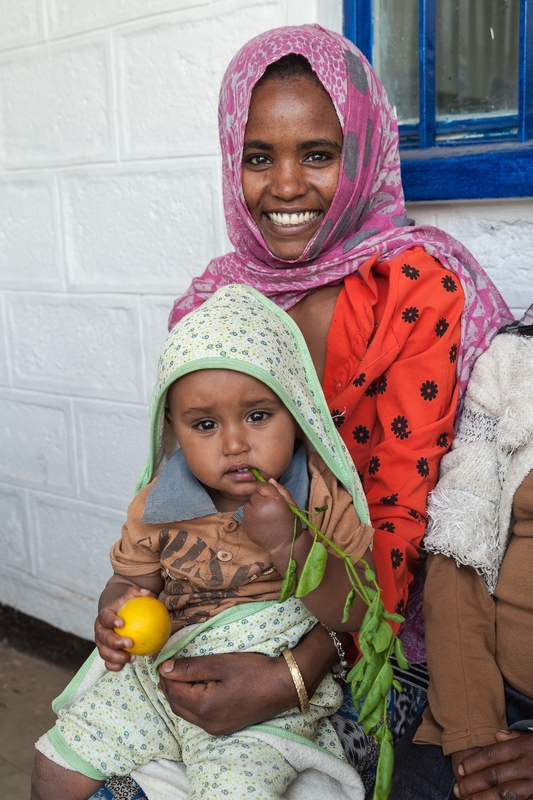 Access to the right nutrition is giving these babies and mothers the best start in life and has inspired Zebiba to have high hopes for her baby’s future. “I hope that one day my son will become a doctor – however I will support him in achieving whatever his dream is!" she says.